Live Demo. 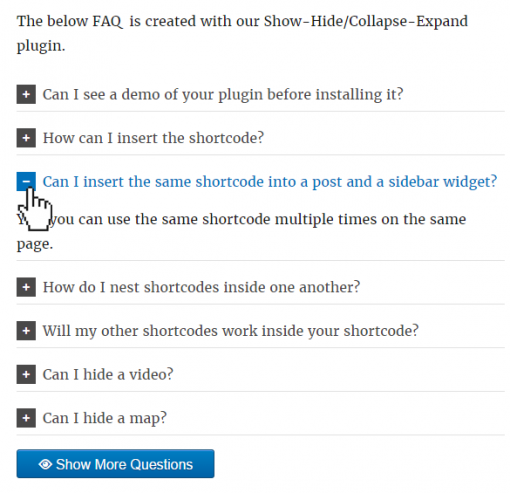 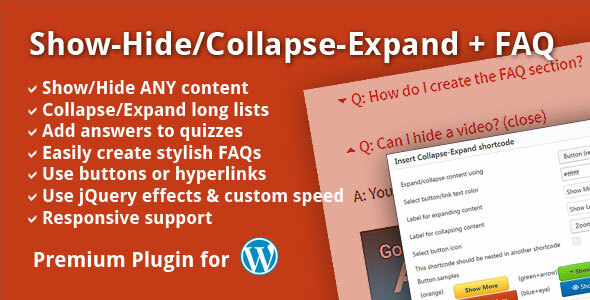 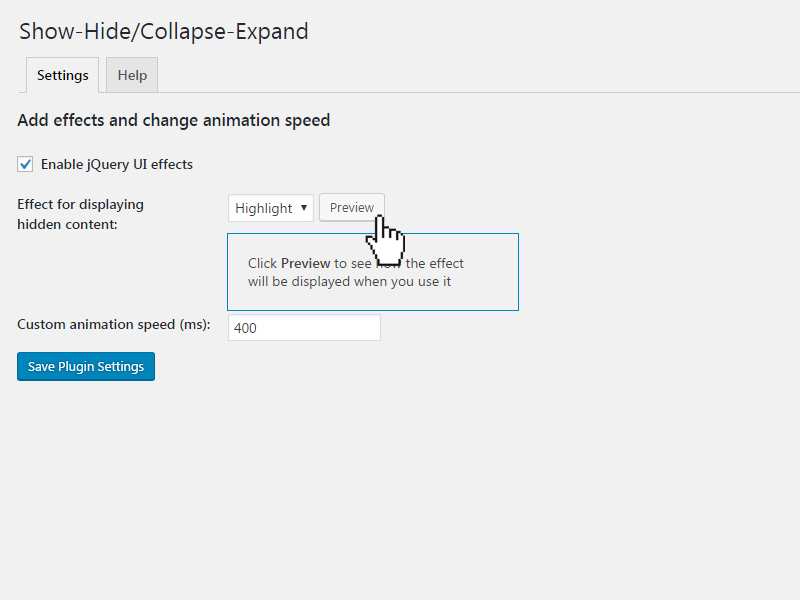 Show-Hide/Collapse-Expand + FAQ allows you to easily manage the amount of content shown to user upon entering your website. 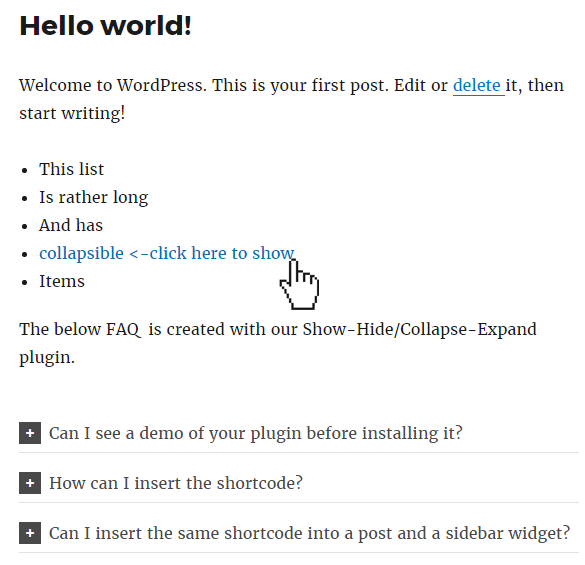 Free your pages from clutter and give your website a stylish minimalistic look and feel. You will find it handy for grouping content, composing FAQs, collapsing long lists and expanding them on click, providing hidden answers to questions, organizing your widgets more efficiently, and lots more. Inserting a shortcode is done via a handy tinyMCE button in your WordPress Editor. 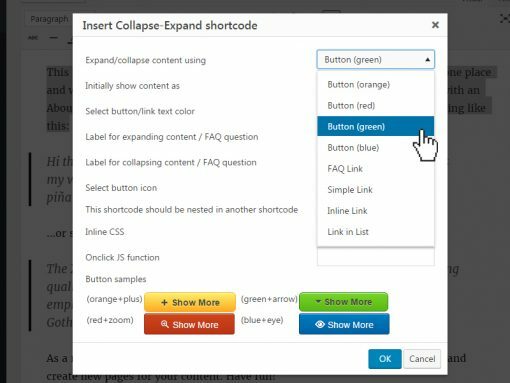 You will configure the look of your button/hyperlink on the fly and will be able to change it later using the provided shortcode parameters.